Without a doubt, the main reason tourists go to Grenada is to enjoy the island’s gorgeous Caribbean beaches. But this should not mean that you cannot engage in other activities after soaking up several hours on the island’s beautiful coast. 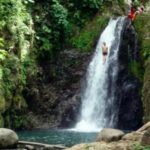 One ideal place that can offer you a bit of a break from the sun, sand and bikinis is Grand Etang National Park and Forest Reserve. 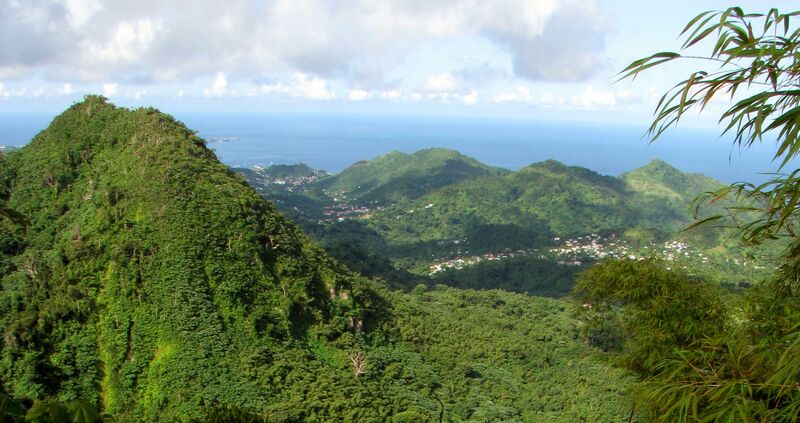 Set in the high mountains of St. Andrews, Grenada, about 1900 feet above sea level, Grand Etang is the perfect respite for fans of Mother Natureís works. 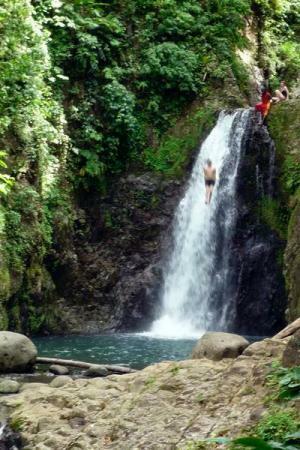 Covering a large part of central Grenada Island, the park treats its visitors to a lake, multiple waterfalls and myriads of walking trails for hiking enthusiasts! As you may have guessed it, this national park is rich with varied floras such as giant gommier trees, ferns, tropical flowers and mahogany. There are also a number of indigenous plants found here. 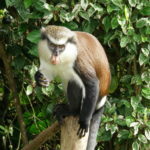 A visit to Grand Entang National Park also gives you the chance to enjoy some excellent wildlife-viewing. 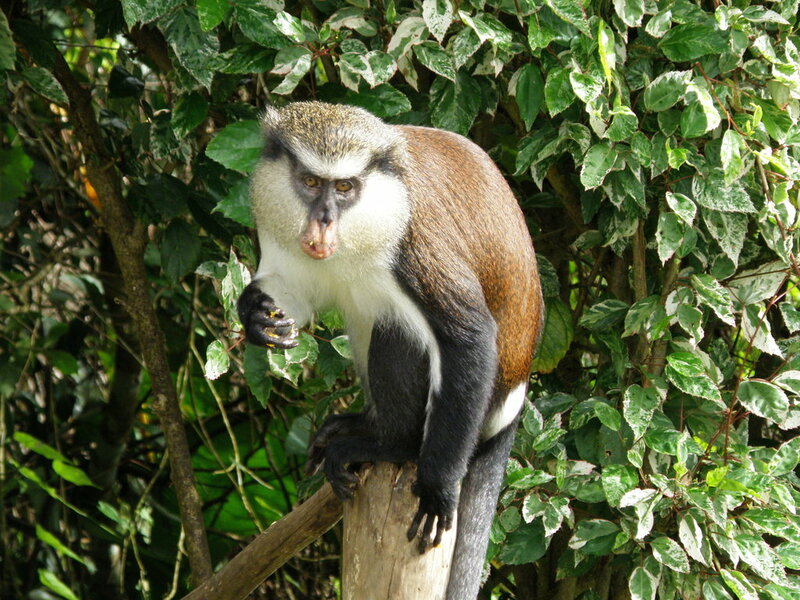 Opossums, lizards, mongoose, armadillos and Mona monkeys are just some of the frequently sighted wildlife in the park. The range of bird species living at Grand Etangís rainforest region is also particularly impressive. Some of the fascinating creatures to look for include broad winged hawk (gree-gree), Antillean crested hummingbird (Doctor Bird), purple throated carib and Lesser Antillean tanager (soursop). Seasoned hikers are most likely familiar with Grand Etang being the most popular area for hiking and trekking in Grenada. This popularity is due to the park’s various terrains that sustain many different kinds of ecological subsystems. There is a wide range of hiking trails at Grand Etang depending on the distance and degree of difficulty. Some of them are 15-minute easy paths that hiking novices would definitely enjoy. But if itís a real trekking challenge that you are looking for, the park also has rigorous trails that take several hours to complete! One type of terrain that has become a favorite among seasoned hikers is the elfin woodlands found on the slope of the parkís central mountains. Another notable hiking destination is the Grand Etang Lake, which has mesmerized visitors with its beauty and tranquil atmosphere. And if you make an effort to go up Mount Qua Qua, you will be rewarded with gorgeous views of the national park and forest reserve. One of the most picturesque waterfalls in the park is called Seven Sisters Falls. The only way to get here is by hiking. Fortunately Seven Sisters is only about 1.25 miles north of the Visitors Center. Despite the trail to the waterfall being described as scenic – it is not exactly am easy walk in the park. The path is relatively challenging so make sure you are physically ready to take on such challenge. Wearing sturdy hiking shoes is a must too! The Grand Etang Visitor Center provides maps or written guides for the various trails in the park. You can also opt to hire an experienced and knowledgeable guide to make your hiking more meaningful. The center is open from Monday through Friday, from 8:30 a.m. to 4 p.m. If there are cruise ships scheduled to dock at Grenada during the weekend, the center will be open. You will need to pay a minimal fee of not more than $3 to get hiking permission.